Infinite Art Tournament: Element of the Month: Thorium! So, if the sun produces its awesomely convenient life-sustaining heat and light through an endless (for present purposes) process of atomic fusion, than why aren't we blasted off the face of the planet by lethal radiation every morning? "Because God intelligently designed it so we wouldn't be" is a reasonably coherent response, especially if it's a shortcut for "because an organism could not evolve within an environment in which it could not survive," but I'm thinking more about the mechanism here. And a mechanism is needed, because the "solar wind" is a real and potent thing. You may have seen it light up the northern sky in an aurora, or blasting a tail of debris off of any passing comet, and thought to yourself "dang, here is a force not to be messed with." You'd be right! If the sun's radioactive discharge didn't blast your own tail off directly, it would over time blast away our lovely planet's atmosphere, with important ecological consequences. Fortunately, we have the Earth's magnetic field, which repels just the right amount of radiation to let the luckier among us muddle through our threescore and ten. Because the world is a big ol' magnet, there are two (and occasionally an ephemeral third) powerful fields around the planet that capture high energy electrons and protons, keeping them from reaching the atmosphere or surface, and generally keeping things copacetic. Thanks, Van Allen belts! Wait, though. Why is the world a big ol' magnet? Well, that's because much of the innards of the Earth is a metallic liquid, mostly consisting of workhorse Elements Iron and Nickel, which circulate in a constant convective motion. "Convective motion" means that hot matter becomes less dense and rises up, while cooling matter becomes more dense and sinks, and so stuff moves in circles. The classic example of convection is on the stovetop, where you can watch little gyres of confection form in your boiling water or soup or whatever. I haven't been able to find good information on how fast the Earth's internal metallic slurry is cycling around, and although I bet there are some educated guesses I also suspect that we don't really know. What we do know is that when you spin "ferromagnetic" metals (Iron! Nickel!) around each other, it generates magnetic fields and/or electricity. It's how generators work. Heck, you probably remember messing with magnets and wires back in science class, when you were young and every day was still a new miracle. All this means that Planet Earth, although not an especially powerful magnet per cubic centimeter, is certainly a really, really big magnet -- big enough to generate the Van Allen belts. Thanks, geomagnetism! That brings us to today's question, which is "why is it so hot in the planet's interior?" That's important, because you need heat to drive the convective currents that generate the magnetic fields that moderate the powerful rays of the sun... which are however not powerful enough to heat the planetary interior, so there must be yet something else going on. There are a couple of things that keep it hot down there. One thing is just the pressure of the outer portions of the planet crushing down on the interior, but that doesn't really count because it is steady and evenly distributed; it doesn't generate any new heat. There is, however, some very old "new" heat still being dissipated, which is the impact energy of the Earth's own formation. Let's ignore that part, though, because the "new" "new" heat that drives convection within the Earth comes from the radioactive decay of atomic Elements. Now, once upon a time, long before you were born even, the internal heat of the Earth was much greater, fueled by the radioactive decay of Uranium and a radioactive isotope of Potassium, Potassium-40. But K-40 has a half-life of only 1.25 billion years, so more than 90% of the interior's original stock has already done the radioactive-decay thing, and then Uranium is well known to be a bit of an eager beaver as well. This is apparently Thorium. But what I know about Thorium or anything else? A heavy silvery metal that is radioactive, but not wildly radioactive, Thorium has a half-life more than ten times as long as Potassium-40. In fact, it has a half-life that is three times as long as the age of the planet, meaning that of all of the Thorium that we started with, we must have... geez... oh, something like 85% of it still left? So it's still down there, decaying very very slowly, releasing the heat that convects the Iron/Nickel that generates the magnetic field that blocks the hard radiation that would desolate the planet! All part of the weird Rube Goldberg machine that keeps Earth habitable for your benefit! Now, a couple caveats. First is, nobody really knows for sure what's going on in the core, and many geophysicists think that it's pretty much pure nickel and iron down there, with the Thorium action all taking place only in the lower mantle. That would still make it important for all things tectonic and geothermal, but would make it less of a day-to-day player in the geomagnetism business. The other caveat is that when I say that Thorium is "mildly" radioactive, that doesn't mean you should keep piles of it around the house. For that matter, it was probably a bad idea in retrospect for generations of outdoor gear suppliers to exploit the fact that Thorium filament glows with a very clear and bright light and use it as the go-to material for lantern mantles. Turns out that's a bang-up way to generate small but maybe significant amounts of Radon, which is nasty stuff. Also, although the mantles were probably OK in their unlit state for the average lantern user, you probably wouldn't want to be a worker at the lantern-mantle factory. 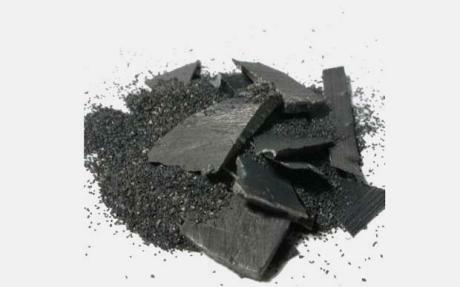 For obvious reasons, this and other commercial uses of Thorium have long been on the phase-out. At the same time, there is occasional interest and a few prototypes of Thorium atomic power plants. In theory, these seem like a good idea -- you'd need more a lot more fuel to generate significant amounts of power, because the fuel is pretty mellow... but the fuel is pretty mellow, so perhaps it would be easier to contain and control safely? Or that could just be me being extremely naive. 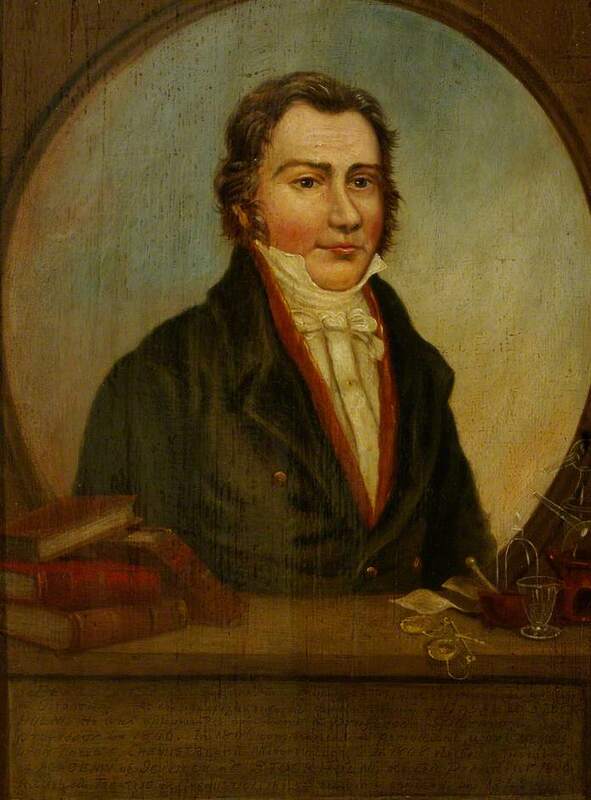 Thorium was isolated and identified by Jöns Jacob Berzelius, one of the brainiest of the brainy Swedish chemists of the 19th Century. He also bagged Silicon, Selenium, and Cerium, let his grad students get the credit for Lithium and Vanadium, invented some of the basic vocabulary of chemistry, and developed a shorthand notation in which Elements were represented by letters with little numbers to show their relative proportions in a substance -- in fact, the system we use today. If you ever end up taking a Chemistry test in the afterlife, and you are sitting next to Jöns Jacob Berzelius, you will be tempted to peek at his answers.